I would like to begin by first thanking all of you for the awesome privilege of being able to take care of you and/or your loved ones. We don’t take your decision for granted and we consider it an honor to be entrusted with this awesome responsibility. Thank you for your continued support. Without you and your referrals we wouldn’t exist. Again, many thanks! We have been contemplating the thought of providing you with a newsletter highlighting individuals who have made a profound impact on our society. Most importantly, we wanted to focus on providing encouragement and sharing how these individuals respond to some of the challenges that are shared by many. We decided that our very first issue should be about a woman that we admire and respect. After careful consideration, we chose Minnette Massey, a distinguished pioneer and retired professor from the University Of Miami School of Law. She has made a profound impact on the lives of so many people, students, and colleagues in our community. I had the distinct pleasure of meeting with Minnette over a cup of tea and was able to ask her a number of questions about her life, career and winning attitude towards approaching some of the challenges that she faces in this stage of her life. 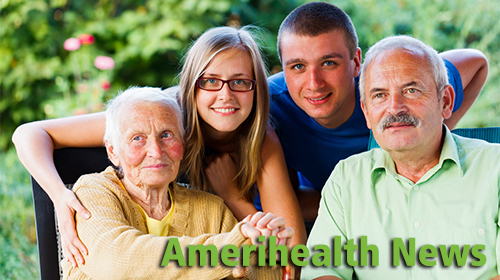 Minnette graciously agreed to allow me the honor of sharing a few of her thoughts in Amerihealth’s first newsletter. As we approach the later stages of our lives, undoubtedly we will all be faced with the challenge of losing some of the independence that we enjoyed in earlier years. Unfortunately, this is an inevitable part of life however; our approach and attitude can make all the difference in this journey. Let’s now hear from Minnette and learn more about her life and how she’s making the best of everyday. First, let me share some information about her impressive resume before we start the discussion. Minnette received a Bachelor of Business Administration in 1948, a Bachelor of Law in 1951 and a Master of Arts in 1952, all from the University of Miami. She also received an LLM (Master of Laws degree) which is an internationally recognized postgraduate law degree in 1958 from New York University, where she was a Kenison Fellow. Upon graduating from law school in 1951, Minnette joined the faculty of Miami University where she served as Acting Dean from 1962 until 1965. She has served on the NCAA Committee on Infractions and the Federal Judicial Nominating Committee and was a member of the American Law Institute. 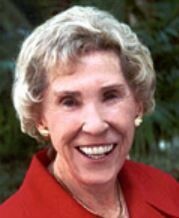 Minnette spent 56 years on the faculty at the University Of Miami School of Law and impacted the lives of many and has also written several books and numerous articles. What an awesome contributor to our society. Now let’s review my discussion with Minnette. CEO: Who has had the greatest impact on your life & why? MM: I would have to guess that it was my parents. Fortunately, I had the world’s nicest parents. CEO: What do you consider to be your greatest accomplishment outside of being the first female dean in the US? MM: I don’t consider that an accomplishment. I just consider it happened but I don’t think I could come up with a singular let alone a word. It’s just been a wonderful life period. CEO: What do you think you have enjoyed the most about your life? CEO: What words of wisdom would you share with women today who are facing all kinds of obstacles and challenges and are trying to fix them? MM: I think the obstacles, we create most of them ourselves and we stumble over our own creations but I’m sure that there’s people that have not had the blessings that I’ve had, with the family I’ve had, the encouragement and the goodness that has been shown to me and I feel very desperately sorry for them. Because they have been short changed and I think those of us who have given so much have an obligation to try and return more. CEO: I certainly agree with you. So having a good family start for you has been? MM: Absolutely imperative! I think it is tragic when a child isn’t given that type of love and encouragement. And I am one of six children and each one of us had different gifts or limitations and our parents loved us all equally but differently. I was just blessed to have very caring parents. CEO: I understand that some of your post graduate studies were in Switzerland. MM: I was blessed when I was first in law school but after the first year my parents let me go to Switzerland for a summer term. It was a bit difficult getting there. There was a war in Korea because all the planes were coming there to take the troops to Korea, but anyway, I found a way. CEO: What sparked your interest in going to law school? And as a woman did you feel any pressure to be more main stream especially with friends that stayed home who took care of the kids and baked cookies etc.? MM: No, our family was of the mind that as long as you were seeking education you could go on to school and all of us went to school who were able and we all saw that we had different gifts and we went different paths. We also helped each other in whatever path we had fallen into. I wouldn’t say in particularly chosen but it all just kind of came natural. CEO: What made you decide to become a lawyer? MM: I think when my Father decided let’s walk over and talk to the dean of the law school and see what’s involved over there. Our parent’s helped us so much. My Father would take us each individually if the time came to the appropriate school or schools and divisions thereof and arranged for us to talk with someone over there for him to get the idea of where he thought we ought to be. We always thought it was our choice. We didn’t know that there was a guiding hand leading, pushing sometimes but he was so gentle. CEO: I also understand that the University of Miami won more State Bar championships while under your leadership. MM: That may be true. I never check the statistics after I walked away. CEO: What would you attribute the success to winning all those state bar championships? MM: Self motivation and application. CEO: Is there anything that you would change in your life if you had a chance to do it all over again? MM: But we don’t get to do that do we? So there’s no need to dream backward, dream forward. CEO: In your experience and your lifetime what do you think are maybe three of the most valuable assets just to have as a person that I maybe should instill in my own children? MM: Well number one is love. Being able to receive it and give it. I think if one does that there’s really no need for anything else. The rest just falls together. INT: Thank you so much for that. CEO: As a young female CEO, what words of wisdom would you share with me? MM: Enjoy what you are doing. CEO: What specifically keeps you going right now? I know you’ve had your struggles with pneumonia, pain in your back. Is there anything, like your faith that you hold on to each day to help you get out of bed? CEO: As we wrap up our discussion is there anything you would like to add? MM: I would like to express my appreciation for all of the medical services that I have had. It’s helps with my life and I am appreciative. CEO: I am so glad that we have been able to help you at this stage of your life. MM: A noble profession indeed! CEO: Thank you so much for the opportunity to meet with you today Minnette. Now here’s a perfect low fat thirst quencher for your time and attention today. Enjoy! Place all ingredients in a blender, and puree until smooth.